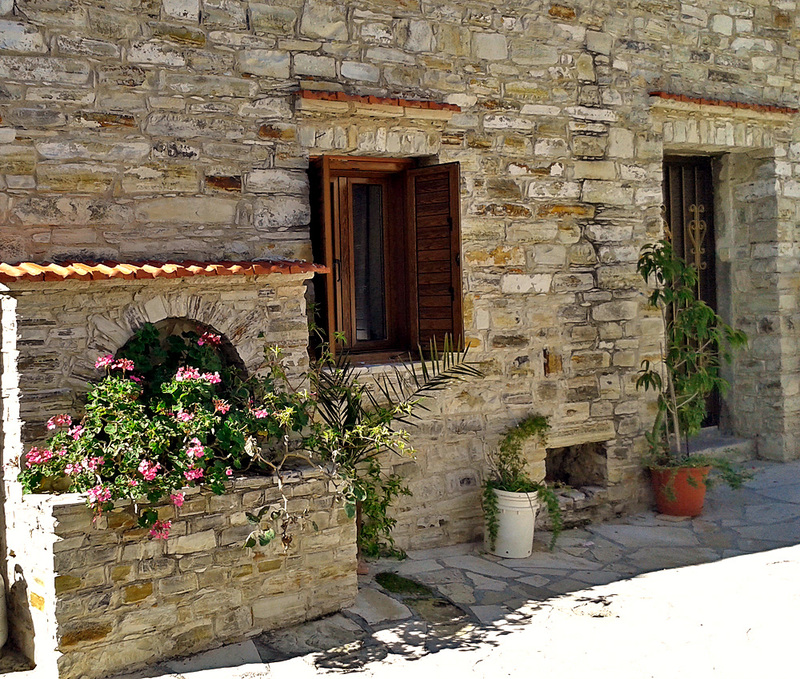 Even those who like to stroll around Cyprus villages often forget about the famous Lefkara and Kato Drys villages. However, we do not follow them and will take a fascinating tour. 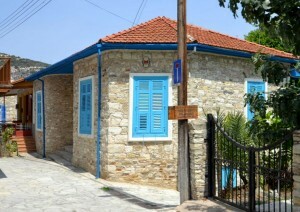 As always, we leave from Limassol and go towards Larnaca. 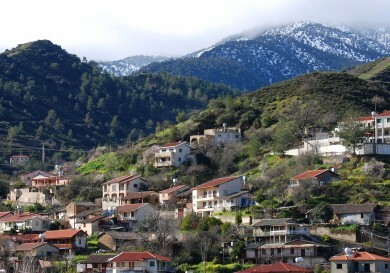 By the way, if you are staying in Ayia Napa, Protaras or Larnaca, Kato Drys is the nearest place where there is one of the best wineries in Cyprus – Ktima Christoudia, but more about that later. 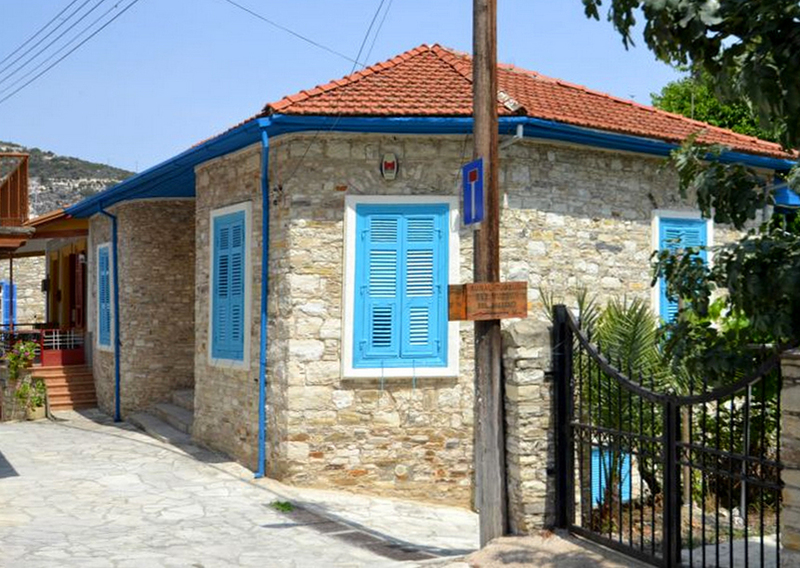 On reaching the Lefkara village sign on the main road of Limassol – Larnaca, we turn and in just a few hundred meters we find a sign to Kato Drys. 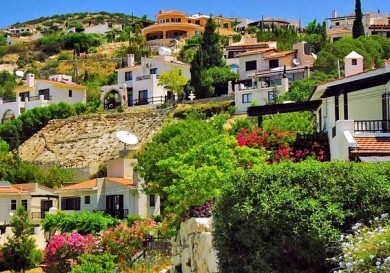 We hope that wandering with us through the narrow streets of this pretty village – even virtually, will tempt you to visit here. 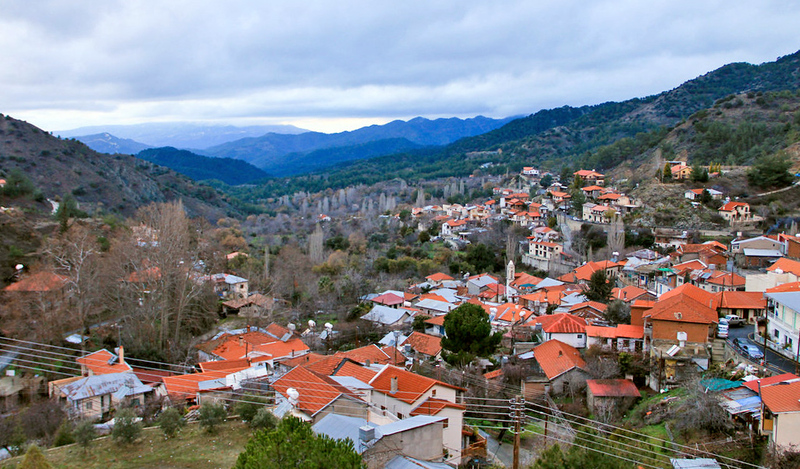 The name of the village could be translated as “lower Oaks,” «kato» (lower), however «plato» (upper), “Upper Oaks” does not exist. 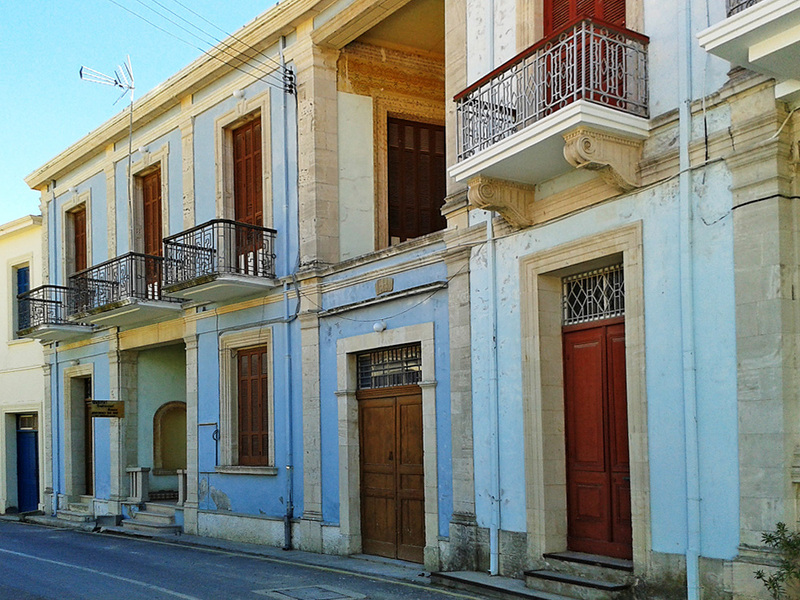 In the middle of the twentieth century there were about 550 people here, but later the residents of Kato Drys, like in many other Cyprus villages have been migrating to the cities in search of work. Now the village is home to about 130. However, city dwellers are now buying old houses and restoring them and the village is slowly beginning to come to life again. It is worth noting that it was the birthplace of Saint Neophytos the Recluse, who founded a Monastery in Cyprus, which bears his name. Leisurely strolling through the village, you are bound to run into a private museum of rural life, and next you will see one of the usual plates, which are located throughout the country, with a request to observe cleanliness. 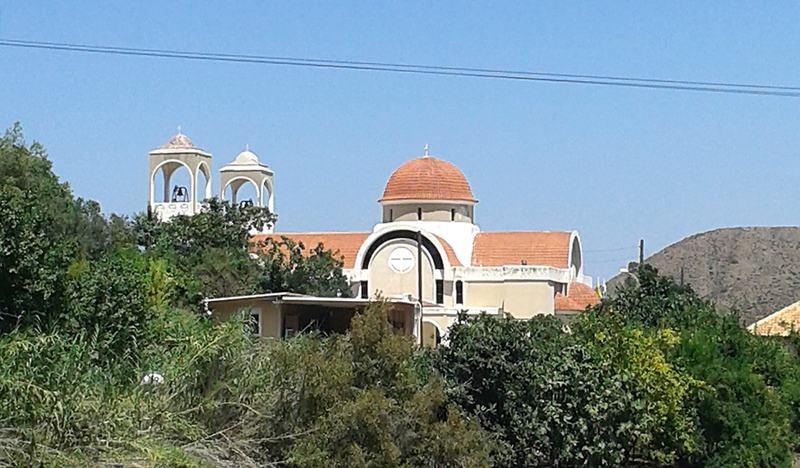 Like in any other Cypriot village, there are several churches. 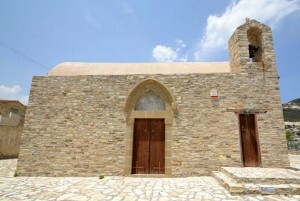 The largest of them is the Church of St. Charalampos, the patron saint of the village. The church was built on the site of the old one in 1897 and can accommodate about 150 worshipers. 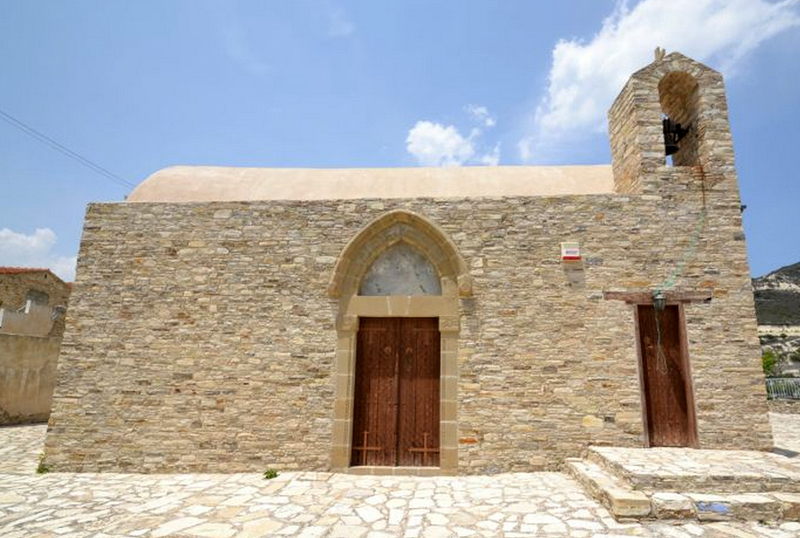 In the northeastern outskirts of the village is the church of the Blessed Virgin Mary of Mercy (Panagia Eleousa). It is the oldest village church and was founded in the 12th century. 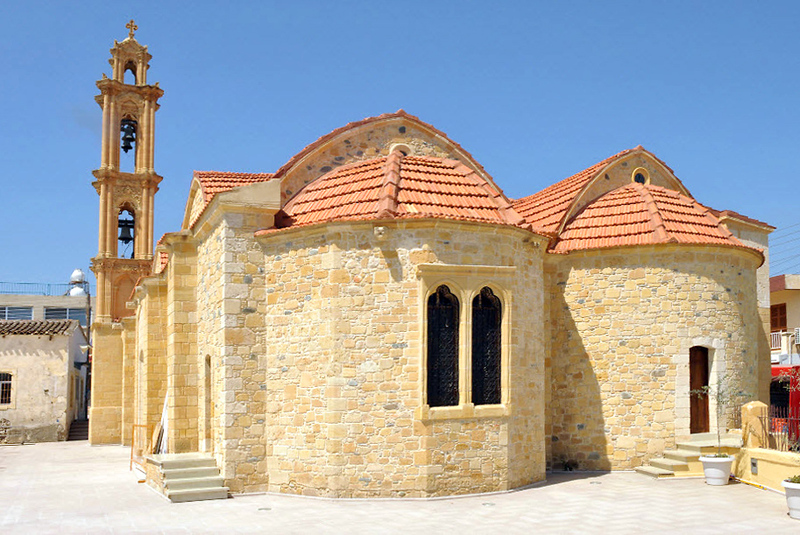 The church has been recently renovated and now houses two ancient icons depicting the Virgin Mary and coated with a special framework. It can accommodate only 20 parishioners. Going south a hundred meters you can see another relic – the Church of St. George, which is not quite like traditional Cypriot churches. This church was built in the twentieth century (1947). It is interesting not so much for the church itself, but for its history. Local lace merchant Michael thought that the lace the local experts produced was as good as in the famous neighbouring Lefkara village. He decided to try his luck and sell the lace outside the island. 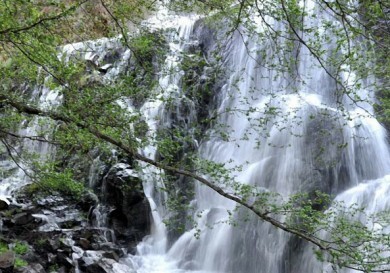 However, he feared that he would be accused of smuggling and so went into the cave, located near the village, and prayed to St. George to help him in spreading the lace worldwide, and so on return he promised to build the church in his honour. A miracle happened: Michael not only successfully took the lace abroad, but in Europe met with rich noble buyers who were so delighted with the embroidery of katodrytika that all the goods were quickly sold. Michael returned home and, as promised, built a church in honour of St. George close to the place where he asked the saint for help. Have spent a couple of hours in the village we decide to go to one of our favorite wineries, located a few kilometers from the village. Its name is Ktima Christoudia. 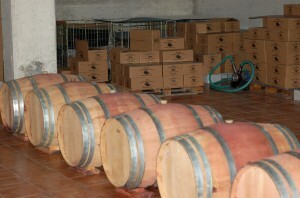 Alexia Christoudia, who is one of the founders of the winery, says that it received its modern name only a few years ago, but the popular wine, “Tihikos”, has been produced here since 1988. The small, beautiful winery is located in the hills between the village of Kato Drys and the famous monastery of Agios Minas. We make a fascinating tour of the winery: the winery warehouse is in basement where barrels of white, rose and red wines of the highest quality are waiting for their time. The hospitable owners escorted us around the premises and allowed us to take unique photographs “floating in the air”: if you stand on a clear circle at the top through which the cellar with barrels is visible, you get a picture where you seem to be floating in the air. 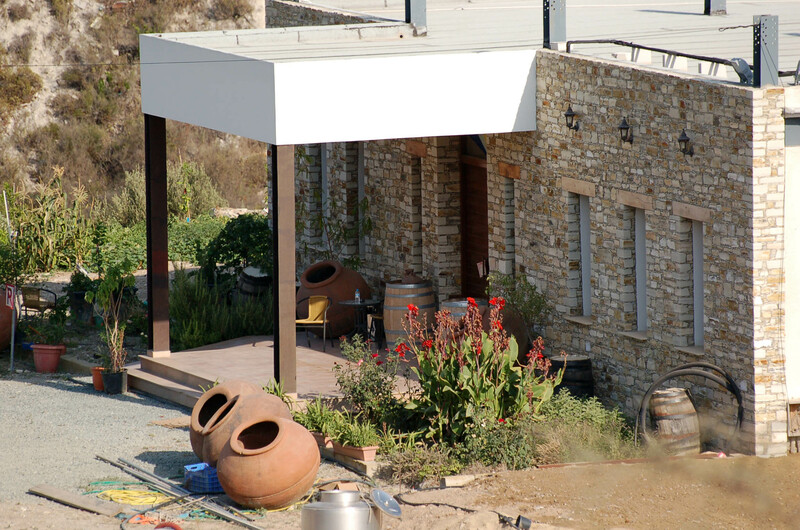 Alexia tells us about the features of production, treats us with wine from the barrel and with Cyprus delicacies. It is worth noting that the wine “Tihikos” has an unusual taste: the white wine contains unusual nutty notes. We finish the journey with a leisurely conversation with the owners of the winery, whilst enjoying spectacular views of the vineyards and wine tasting. Of course, this is not our first visit, but I do believe that when returning to this charming village you should take time to relax at the winery.